There is a lot of speculation surrounding all NHL clubs at the moment given the stagnant nature of free agency. The Pens are no exception as they move through prospect camp. 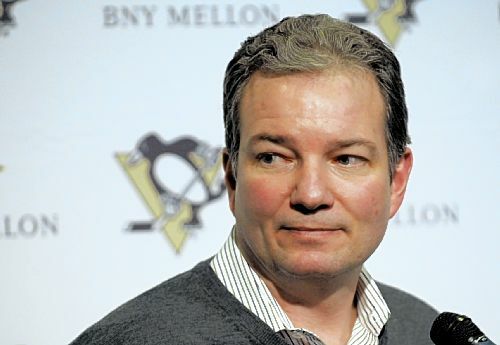 Expect this lack of moves to continue for the Pens and Ray Shero as they evaluate the talent in the system. As you may expect, a singular focus is much more important at this time, especially given the cap situation in the NHL. Teams are trying their best to find a way to make every piece fit. Sure, Shero is working the phones and accepting calls but the guys on the ice at prospect camp are his guys. Being the GM since May of 2006, it has been easy to see the shared vision of the Penguins executives, as implemented by Mr. Shero. The guys on the ice this week and those in the AHL that have a shot with the big club are linked to Shero. Chris Conner, who signed a new two-way contract this week was acquired last summer. Eric Tangradi came over in the Kunitz deal. Mark Letestu signed as an undrafted free agent in 2007. Dustin Jeffrey was drafted in 2007. Tim Wallace was one of the first prospects that made an impression in this current group at a tryout camp shortly after Shero was appointed general manager. The Pens organization has to give them all a look. This includes the defense as well. Shero likes to have wiggle room at the trade deadline as well. There is plenty of talent on the team and a beefed up defensive core signed for the next four years. Don’t be surprised if the Pens don’t move on the affordable winger in the next month. There may be an acquisition right before camp starts, but with Shero at the helm we should not be surprised if the Penguins start the season with depth from within rather than taking a shot on someone else. The team had to fill a need on defense based on contracts and production. Be patient folks, the rest of the team will fall into place.